If you haven’t already guessed, I like breakfast/brunch items that are easy to make and last a while. 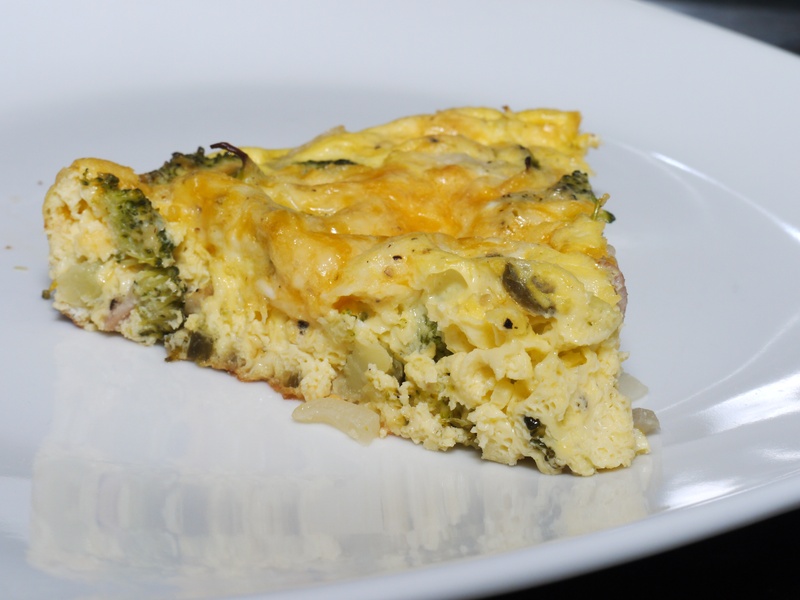 That said, here’s another frittata recipe that has more mainstream ingredients. It should balance out very nicely and get some heat from the jalapeños to help wake you up in the morning. 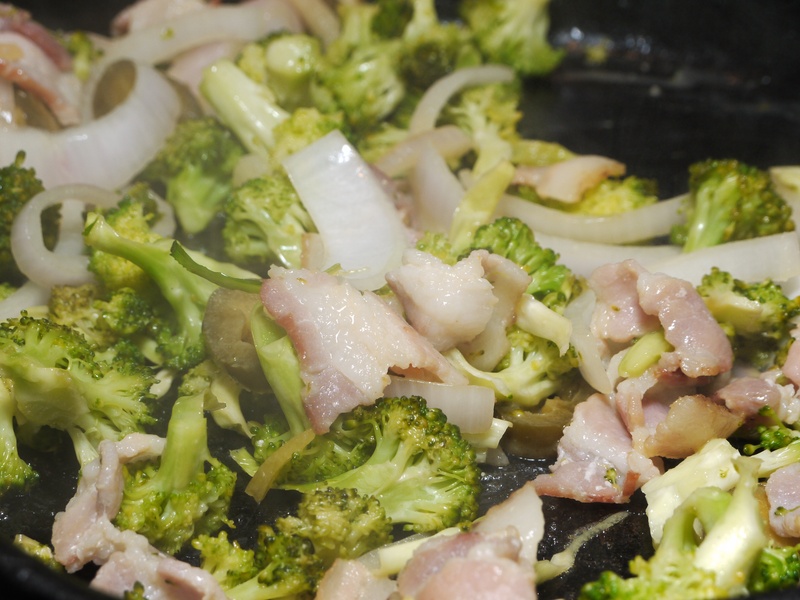 Saute bacon, onion, broccoli, and jalapeño slices in a large oven-safe skillet or dish and toss with olive oil, half of the salt and half of the pepper. Cook until bacon is crisp (about 10-15 minutes). Whisk eggs, milk and cheese with remaining salt and pepper until eggs are fluffy. 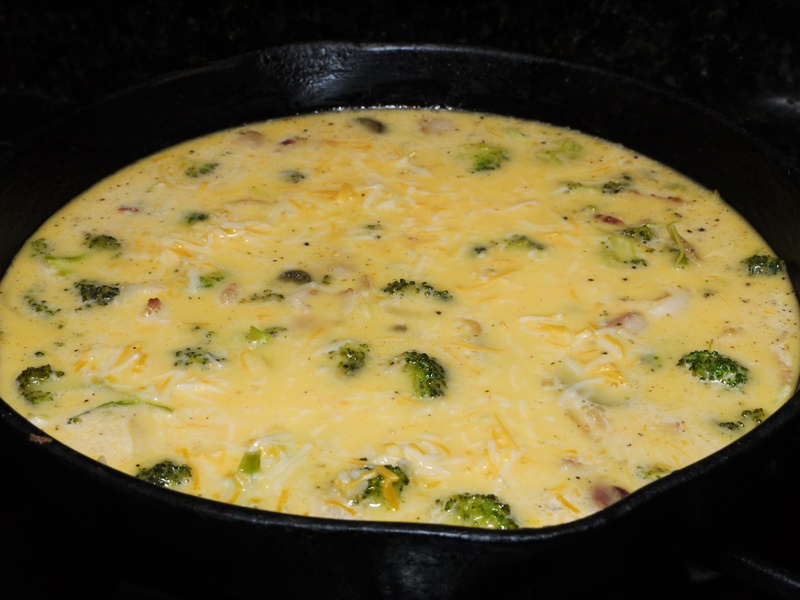 Pour egg mixture into skillet and cook until set (about 12 to 15 minutes). This is a great make-ahead recipe that can last you a few days for breakfast. You can refrigerate it for 4-5 days and reheat it when you’re in a rush. If you want to adjust the heat, just take out some of the jalapeños so it isn’t as intense. This looks and sounds so amazing…I actually do not like eggs but in dishes like this you don’t even taste eggs…They act as a tofu like agent when it takes on the taste of the other ingrediences and is an agent to hold and pull everything together. This sound soooo yummy Shark! So is this a quiche type of taste? I agree. The other flavors overwhelm the egginess so it’s more spongy than anything. It’s quiche-y, but without the crust. I usually whisk my eggs a little more so they are more airy than a quiche, too. I love quiches and frittatas! And this easy recipe is right up my alley (minus the broccoli). Yum! No broccoli? That gives you added nutrients. You probably won’t even notice.